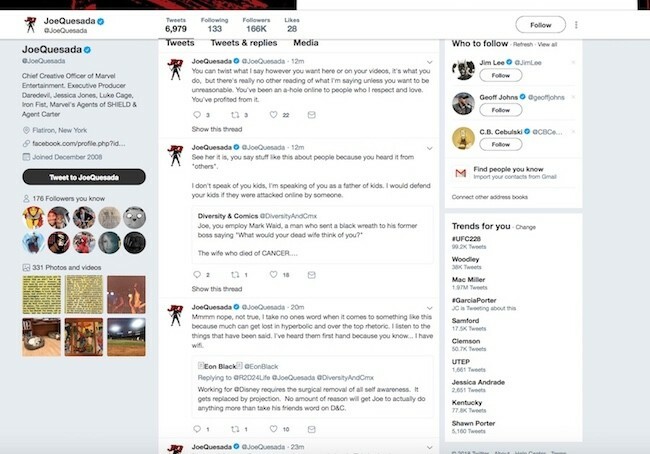 Something happened in the wee hours of the morning on Sunday, Sept. 9, 2018: Marvel’s Chief Creative Officer debated the existence of Comicsgate with the networks’s supposedly insignificant members. 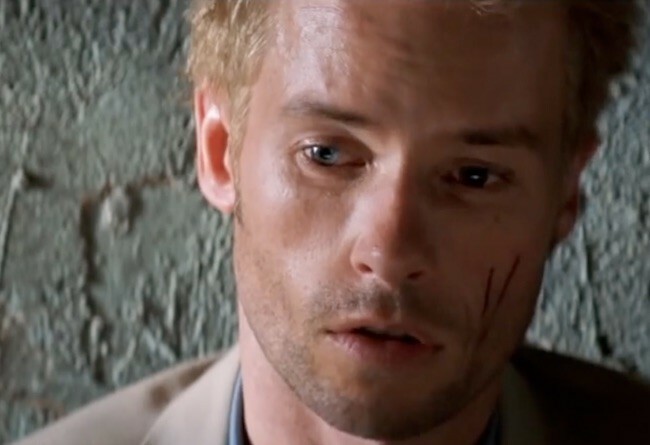 There was, however, some big problems with his performance: Mr. Quesada wanted to pretend as if he had anterograde amnesia straight out of Christopher Nolan’s Memento. 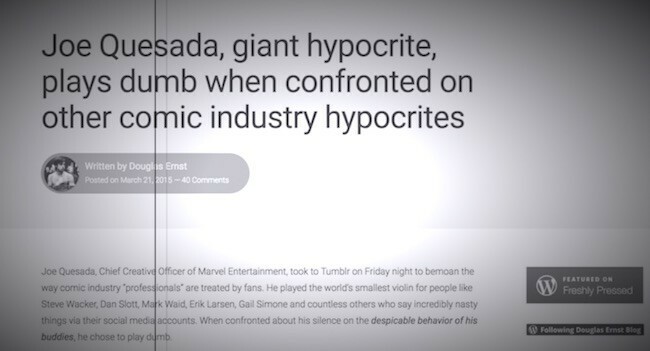 In short, the Marvel executive wanted to act as if your friendly neighborhood blogger wasn’t trying to warn him for years that the industry’s bad business practices would produce something akin to Comicsgate. Marvel’s personal boogeyman (i.e., Diversity & Comics), is supposedly the root of all that ails the industry. 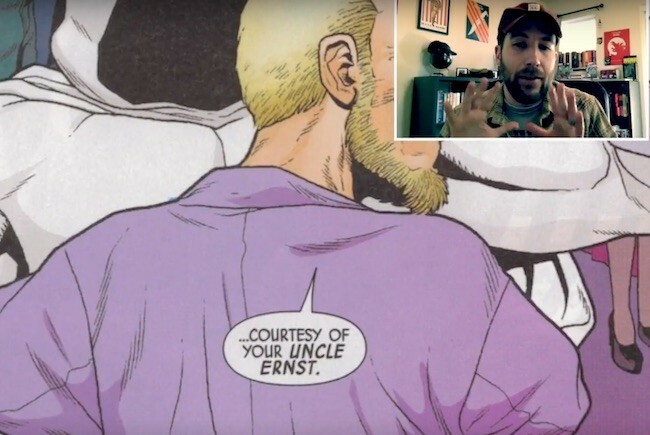 Spontaneous Comicsgate Combustion happened in late 2017 and a fire of bad behavior soured the relationship between creators and readers, if Marvel’s top brass is to be believed. The fact of the matter is that Mr. Quesada and his peers had countless opportunities to right the ship. Myself and others (e.g., Dave Huber when he was writing at Colossus of Rhodey) gave Marvel a series of simple steps to avoid a large-scale consumer revolt. Regular readers know that I made the leap to YouTube with the assumption that I needed a bigger megaphone if I was ever going to help spearhead said consumer revolt. 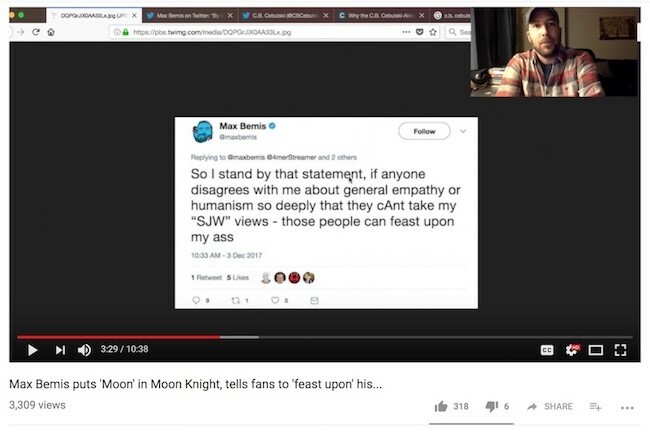 The response by left-wing ideologues was to double down on unprofessional and immature antics — like Max “feast upon my a**” Bemis putting the “Uncle Ernst” villain into Moon Knight. Question: Did Mr. Quesada, who stayed up until about 5 a.m. EDT. 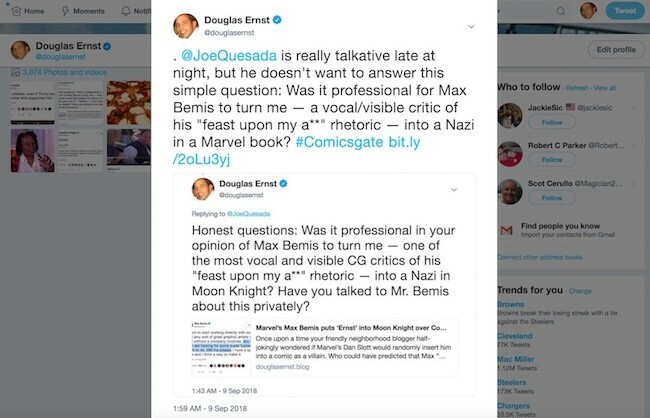 talking about Comicsgate, dare to answer questions about Mr. Bemis’ lack of professionalism? Answer: Not a chance. He stayed far, far away from me because he knows the facts are on my side and I would make him look like a buffoon. The good news about the industry’s decision to dig in its heels into a quicksand pit of stupidity is that readers finally have other options. Indiegogo campaigns like Jawbreakers: Lost Souls have been wildly successful. The products will soon ship, and when that happens the paradigm will have officially shifted. There is no turning back, and for that we can oddly enough thank guys like Mr. Quesada, Dan Slott, Mark Waid, Erik Larsen, Tom Brevoort, Alanna Smith, Max Bemis and a whole host of ideologues. If you want to learn more about Mr. Quesada’s faux short-term memory problems, then be sure to check out my latest YouTube video. As always, make sure to hit the like and subscribe button if the format is to your liking.